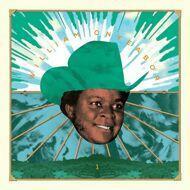 William Onyeabor's full legacy compiled in 2 terrific box sets with additional booklet and poster. In addition, a 45 of two edits accompanies the set. Side A is "Atomic Bomb" edited by Zach Cowie & Sunny Levine, the flip contains a "Love Me Now" edit by Axel Boman, Petter Nordkvist & Johan Jonason.